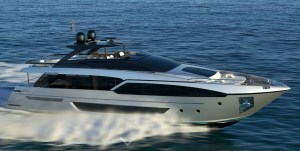 Riva Yacht 90 ft, The third model in the new flybridge fleet (By FerrettiGroup). 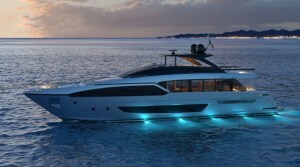 Introduced at the 2017 Fort Lauderdale International Boat Show, the new yacht joins the 100’ Corsaro and the 110’ Dolcevita. 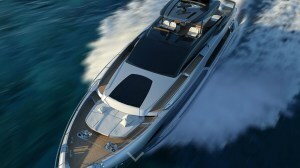 The 58th edition of the Fort Lauderdale International Boat Show hosted the world preview of the new Riva 90’. The 90-foot yacht is the latest addition to the new-generation Riva flybridge range and complements the highly successful Riva 100’ Corsaro and the Riva 110’ Dolcevita, which is set to be launched in early 2018. 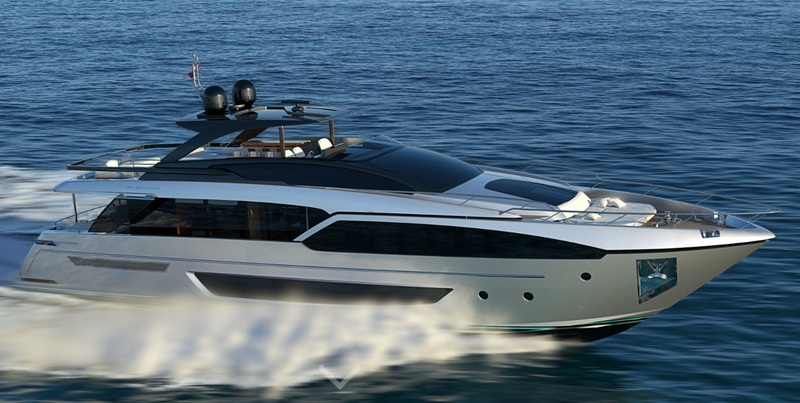 The Riva 90’ is the result of a collaborative effort between Officina Italiana Design, the studio founded by designer Mauro Micheli and Sergio Beretta, the Ferretti Group’s Product Strategy Committee, and the Group’s Engineering Department. 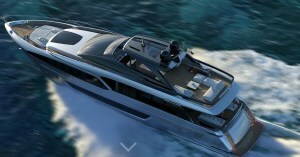 The new yacht combines and reinforces the unique selling points of its predecessors, with particular emphasis on the exterior styling distinguished by a sleek and dynamic profile and the generous use of glass for the hull-mounted windows, from the stern to the wide-body owner’s suite on the main deck and on the raised pilothouse. The stern area features the innovative Ferretti Group’s patented concealed stairway system, already installed on the new 56’ Rivale. The garage can accommodate a Williams 395 tender and a personal watercraft, which can be launched independently. A choice of three engine configurations is available for the Riva 90’. Standard propulsion is a pair of MTU 12V 2000 M96L engines (1948 MHP each) for a cruising speed of 22 knots and a maximum speed of 26 knots. Alternatively, owners can choose twin MTU 16V 2000 M84 engines (2218 MHP each) for a cruising speed of 24 knots and a maximum speed of 28 knots. A third option, which is installed on the first unit, is a pair of MTU 16V 2000 M93 engines (2435 MHP each) for a cruising speed of 26 knots and a maximum speed of 30 knots (preliminary data). 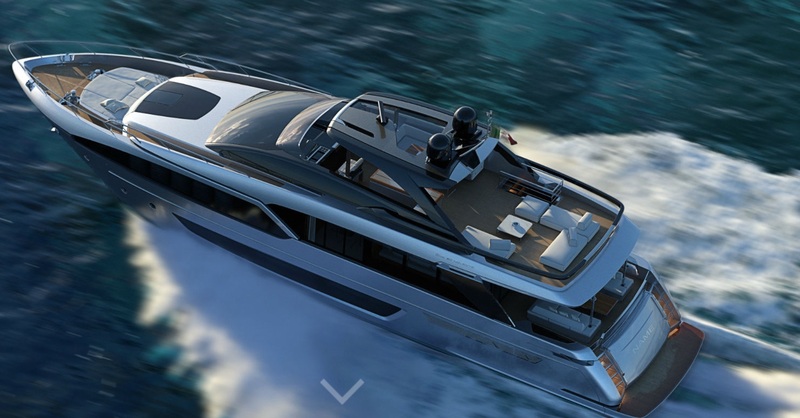 The Riva 90’ will be equipped with underway and zero-speed stabilising fins as standard and, upon request, can also include Seakeeper gyro stabilisers. (from Riva press office, by FerrettiGroup).